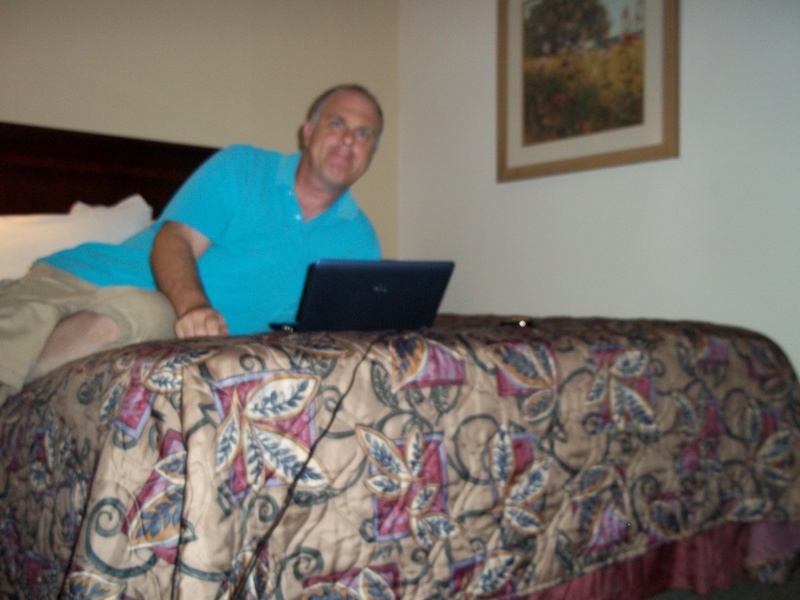 I am writing tonight from my motel room in beautiful Central Georgia. This week’s SS lesson talks about our attitude. It is a law of nature that our thoughts and feelings are encouraged and strengthened as we give them utterance. While words express thoughts, it is also true that thoughts follow words. If we would give more expression to our faith, rejoice more in the blessings that we know we have–the great mercy and love of God–we should have more faith and greater joy. No tongue can express, no finite mind can conceive, the blessing that results from appreciating the goodness and love of God. Even on earth we may have joy as a wellspring, never failing, because fed by the streams that flow from the throne of God.—Ministry of Healing 251-253 (1905). On a Wednesday night in April 2006 I sat on a plane with 90 other missionaries waiting for our plane to take off from Lima, Peru and go back to the states! We were tired and weary. Some were sick. It had been a fruitful venture with 1,000 baptisms! Still we were tired and wear and ready to get home. We sat on the plane at the terminal for two hours before American Airlines finally cancelled the flight due to fog. Tired and weary, and now disappointed, we all wandered off the plane and into the airport where we slept on chairs or the floor. During the night I kept wishing I had something to lay my head on like other people had, bags and stuff. Then it hit me, I was suppose to have something. I left the projector on the plane! I could have used the projector and case for a pillow but instead I had nothing to lay my head on and spent the rest of the night wondering if I would ever see it again. We woke up the next morning (If we actually fell asleep in order to wake up) in an airport when we hoped to be waking up in our own beds. First thing I did in the morning was email my parents and told them I had just woken up in the wrong country! Sure, I wanted to be home but a little humor made things lighter for me. Of course all 90 of us woke up in the same clothes we wore the day before. When I saw someone in our group to be funny, I asked them, “Hey wasn’t that what you had on yesterday?” Many got it and laughed. Others were confused and tried to explain the whole situation to me and why they could not change clothes. Others just got outright mad that I was having fun while they were upset they were not home by now. I was having fun, and why not? Would getting upset make it any better? I rushed to the gate to see if I could retrieve the projector only to find that my new best friend Juan Rivera had already saved it for me! At 2:30 in the afternoon our plane finally takes off for Miami! As we are going down the runway about to take off the lady next to me says, “What’s that smell?” Scared me to death! If you want to scare someone, ask that question just as a plane is taking off. I looked around and did not see smoke or anything so I laid back and enjoyed the rest of the trip back to Miami. Glad God gave me a healthy attitude to make it through the bad times. More studies and devotionals available at In Light Of The Cross.